The Corporate Circus brand and animated characters (as Office Messengers of Fun) have applications on the following business opportunities and is currently seeking licensees, publishers, distributors, collaborators, and strategic partners to bring . The Corporate Circus concept is silly, simplistic, and fu,n, but its message on job stress is no laughing matter. The Corporate Circus as a corporate business seminar on business principles, management, office behavior and politics, including, office stress management will make an effective management tool in the workforce. The Corporate Circus brand and office humor animated characters can easily be made into office toys, office games, stress relief fun products for employees and create a fun atmosphere in the workplace. The Corporate Circus brand and office humor animated characters as toys are fun and creative teaching tools for business courses that deal with management and organizational behavior issues. 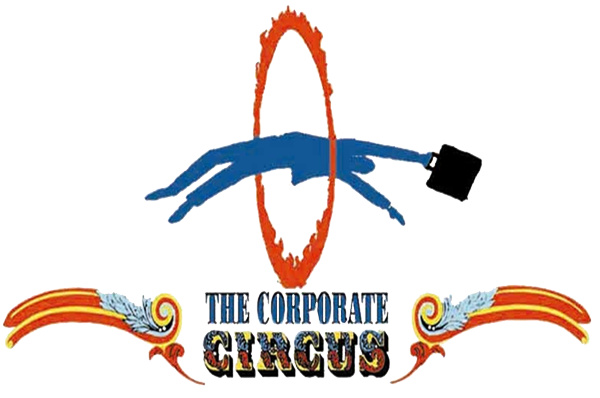 The Corporate Circus storyline can be used as a case study to discuss business issues. The Corporate Circus brand and office humor animated characters are ideal for all types of paper products used at work. The following are examples of these products. The Corporate Circus brand and office humor animated characters are attractive gift products for selective line of office supplies. The following are a few examples of these types of products. The Corporate Circus brand and office humor animated characters as containers for flower bouquets are attractive and ideal gifts to give to employees and business clients/contacts for special holidays or everyday occasions. The Corporate Circus brand and office humor animated characters can be packaged with other merchandised products as gift baskets to give to employees and business clients/contacts for special holidays and everyday occasions. The Corporate Circus brand and office humor animated characters are great party favors and accessories to use for office parties. Here are few examples. The Corporate Circus brand and office humor animated characters can be marketed into different line of clothing apparel and accessories. The Corporate Circus office humor characters, story, and office humor genre are great animation project for: short funny clips, cartoon shows (for TV, internet and mobile), feature film, e-moticons, e-greeting cards, musical animation, e-books, e-comics books, etc. The Corporate Circus brand and humorous office fantasy story can become a new syndication of cartoon characters for comic books, magazines, and newspapers. A well-designed Corporate Circus Internet site can easily attract the corporate employee market looking for an interactive community-building site. 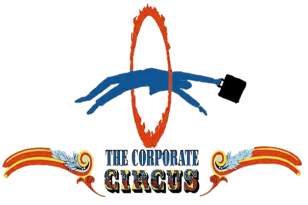 The Corporate Circus is ideal for establishing community, e-commerce, advertising forum, and affiliate programs. The Corporate Circus brand, office humor animated characters can be used for many types of challenging and entertaining business board games, computer games, etc. - includes digital computer games. The Corporate Circus brand, office humor animated characters, story, and concept can become a television sit-com or cartoon for adults and kids of all ages - includes interstitial animation series. The Corporate Circus brand, office humor animated characters, story, and concept will make an entertaining animated movie for adults and kids of all ages. The Corporate Circus brand, office humor animated characters, story, and concept can become a live comedy or off Broadway shows - including musicals. The Corporate Circus brand and office humor animated characters can be great advertising and promotional vehicles for corporate companies looking to attract their customers via television comedy or cartoon commercials. The Corporate Circus brand, office humor animated characters, story, and concept are all about stress relief in the workplace. The association of these characters with different merchandised stress relief products is an ideal partnership. The Corporate Circus brand, office humor animated characters, story, and concept promote the message of good physical and mental health through a fantasy. The association of these characters with health and sport related services and products is an ideal partnership. The Corporate Circus brand and office humor animated characters can generate excitement and attract attention to their products may accomplish that goal if appealing characters are used to represent their company and products. The Corporate Circus products can be a unique mascot to represent your company. The Corporate Circus brand and office humor animated characters are ideal collectible toys and hobby products - such as collectible plush dolls. The Corporate Circus brand and office humor animated characters can easily cross over to the young adults and children’s market because of its fun attractive appearance. They captivate kids imagination and attention. In addition, the Corporate Circus can be turned into an effective teaching tool of basic business concept for these young creative minds who may want to learn business concept in a simple enjoyable productive way. The Corporate Circus is currently entertaining interests and inquiries from licensees, distributors, partners, and investors for all types of merchandise gift products and business opportunities that share the same philosophy of the company.